The Friendship: An Oyster Duo for John Adams and Thomas Jefferson | Good. Food. Stories. 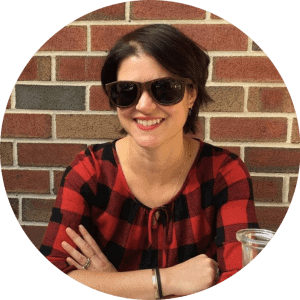 For more historical and Hamilton-inspired drinks, check out the Good. Food. Stories. archive, and for Hamilton-inspired gifts, including enamel pins, greeting cards, and stickers , visit The Casey BarberSHOP. To describe the long-standing but unconventional friendship between John Adams and Thomas Jefferson, I can’t think of a more perfect metaphor than the one already imagined by their contemporary, Dr. Benjamin Rush. To him, John Adams and Thomas Jefferson were “the North and South Poles of the American Revolution,” forces that somehow created one of the most enduring partnerships in American history. Though they were opposites in almost every way, two men worked, fought, lived, and died in tandem from the birth of American independence through their final years as statesmen and symbols of the Revolution’s legacy. Physically, Jefferson and Adams couldn’t have been caricatured any better: Jefferson, the tall, lean, angular figure in direct contrast to Adams’ short, rotund, countenance. Temperamentally, they fell on opposite ends of the spectrum as well. Jefferson, the serious, cool and composed “sage of Monticello,” was a reticent public speaker who preferred to let others fight battles and get dirty on his behalf. He was a man of hidden motive and solitude, an enigma even now. Yet the similarities between these two opinionated sages were equally prominent. Both were vain when it came to their public perception and reputation, acutely aware of their place in the historical record and how they’d be remembered in the centuries to follow. Both were prolific readers and writers, men of books and letters who put their knowledge to the test in civil service. Both were enemies of Alexander Hamilton, though Adams allied with him as a Federalist prior to his election to the vice presidency. And as the two architects behind the Declaration of Independence in 1776, both had a decisive role in creating the United States of America. The bond between Adams and Jefferson grew stronger after the Revolutionary War, with the two men serving as American emissaries in Paris. But every lifelong friendship goes through its ups and downs, and for Jefferson and Adams, the big falling-out occurred during Adams’ presidency and only got worse during Jefferson’s presidential term. In the toxic political atmosphere of the day, Jefferson’s habit of spreading back-door rumors and discrediting Federalist opponents in pursuit of his own party goals (even though the idea of political parties were anathema at the time) only fueled Adams’ thin-skinned paranoia and inability to take criticism. And in the most cosmic, couldn’t-make-it-up ending possible, not only did Adams and Jefferson die on the same day, they died on July 4, 1826, the fiftieth anniversary of the announcement of the Declaration of Independence. For two men deeply concerned with their place in the American pantheon, they truly couldn’t have written a better finale. 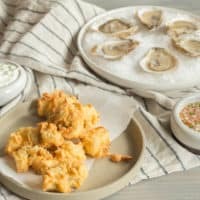 In the spirit of this opposites-attract friendship, I bring you two dishes that pair fiery spice with chilly coolness in the form of oysters—an iconic food found on the shores of both New England and Virginia, and which no doubt would have been slurped down by both parties during their lifetime. 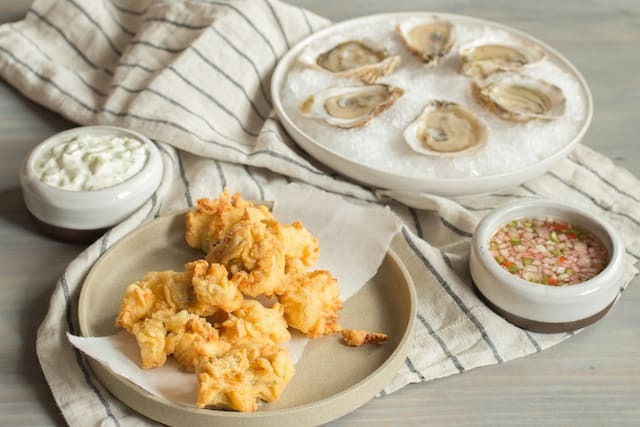 John Adams, the irascible Massachusetts farmer, gets a plate of sizzling fried New England oysters tempered by a dip in cool cucumber remoulade. Thomas Jefferson, the outwardly placid man of Monticello, gets his Virginia oysters served in their natural state on a bed of ice. The spicy mignonette, infused with chile peppers, speaks to Jefferson’s inner anger and habitual vendettas that he kept hidden from the world at large. Both components of the meal are excellent on their own, but served as a complementary duo, they’re a memorable repast for the ages. 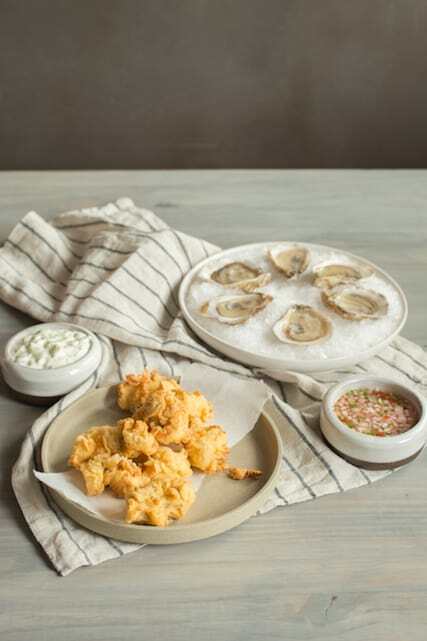 A pair of oyster dishes celebrate the hot-and-cold temperaments and long-standing friendship of John Adams and Thomas Jefferson. It's a Revolutionary match! Stir the mayonnaise, yogurt, lemon zest and juice, cucumber, celery, dill, and salt together in a bowl and set aside. Heat the oil to 350 degrees F in a large (at least 3-quart), heavy pot such as a Dutch oven. Alternatively, fill an electric deep fryer with oil per manufacturer instructions and heat. Line a large plate or small baking sheet with paper towels. While the oil heats, stir the buttermilk and hot sauce together in one bowl, and whisk the flour, cornmeal, and salt together in a separate bowl. 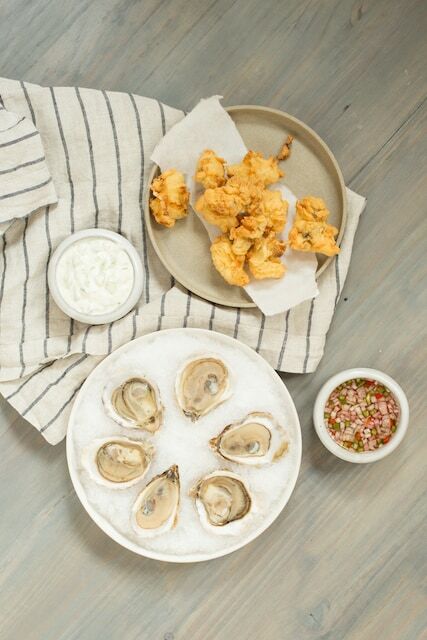 Dip each oyster in the buttermilk, then coat in the flour and cornmeal. Repeat once more for a double-coated dredge. Fry the oysters until golden and crisping to brown at the edges, about 3 minutes (though timing will vary based on your equipment). Remove the oysters with a metal spider or tongs and transfer to the paper towel-lined plate. Serve immediately with the remoulade and extra hot sauce, if desired.